Now comes a legacy-defining week -- at home and abroad. Washington has gotten used to President Donald Trump as a disruptor, with political instincts that push him toward division and conflict. Now comes a legacy-defining week that will test those instincts, at home and abroad. Trump's NATO ambassador, Kay Bailey Hutchison, is promising a NATO summit that will emphasize the alliance's "strength and unity." It will be up to the president to make good on that theme, at a moment when trade wars are beginning to rage, a summit with Vladimir Putin looms, and the U.S. finds itself increasingly isolated. And with his nomination of a Supreme Court justice Monday night, President Trump has a chance to unite at least his own party – or make the kind of choice top Senate Republicans have warned him against. "They can get anybody confirmed," Leonard Leo, the former Federalist Society chief who is advising the president on judicial nominations, said on ABC's "This Week," referring to potential teamwork by the White House and Senate Majority Leader Mitch McConnell. Leo might be right. But not necessarily, now that the nomination will move from hypotheticals to a real person with a very real record. First on ABC News – The conservative political advocacy organization, Judicial Crisis Network, plans to launch another major ad campaign with spots online and on cable TV promoting President Trump's nominee for the Supreme Court as soon as the president makes his public announcement. The group is set to spend $1.4 million on the additional ads, according to spokespeople for the organization. The ads will feature biographical information highlighting the president's choice, and they will run for one week in four states: Alabama, Indiana, North Dakota, and West Virginia. 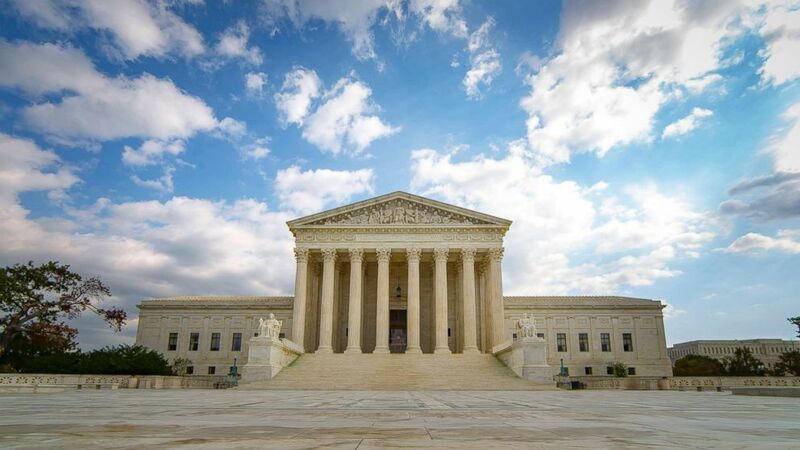 (STOCK PHOTO/Getty Images) The United States Supreme Court Building in Washington D.C. is pictured in this undated stock photo. Three of those states have something in common: competitive Senate races with sitting Democrats defending their seats in states the president carried. These "red state" Democrats up for reelection could swing the outcome if they back the nominee. They will continue to face tough political pressure to vote in favor of the pick, and might be enticed to, especially if a "no" vote will not actually stop the nomination from going through. With this new ad, the Judicial Crisis Network will have spent a total of $2.4 million in national cable, broadcast and digital ads, while groups on the other side, specifically pro-choice and women's health care groups, continue to ramp up and plan opposition ads as well. Multiple sources tell ABC News the final four individuals President Trump is considering for the Supreme Court vacancy are Brett Kavanaugh, Thomas Hardiman, Amy Coney Barrett and Raymond Kethledge. Hardiman made a comeback on the shortlist this weekend, in part because of the president's sister, Judge Maryanne Trump Barry, who serves with Hardiman in the same circuit. Hardiman was beat out by Neil Gorsuch the last time a vacancy opened on the Supreme Court. 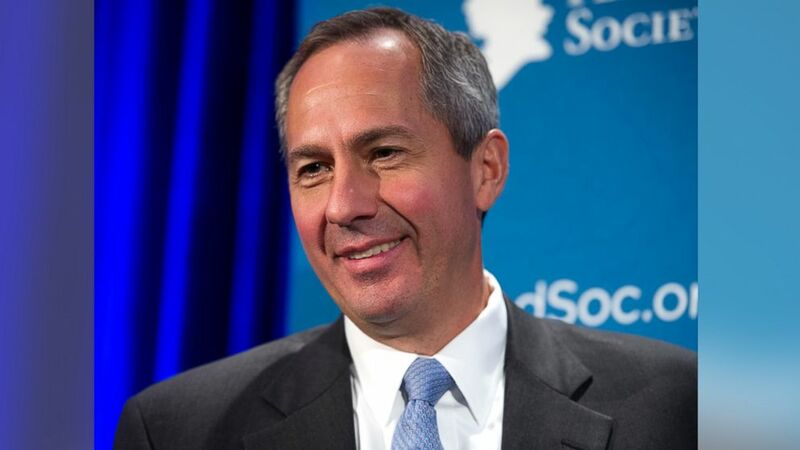 (Cliff Owen/AP Photo) Judge Thomas Hardiman, federal judge on the U.S. Court of Appeals for the Third Circuit, moderates a panel discussion during the Federalist Society's National Lawyers Convention in Washington, Nov. 17, 2016. But the president, who has been consulting with family, friends and advisors this weekend while in Bedminster, N.J., could change his mind at the last minute. "I'll be deciding tonight or tomorrow sometime by 12 o'clock and we're all going to be meeting at 9 o'clock," Trump said to reporters while boarding Air Force One Sunday, signaling that he still had not made a final decision. The sources all stress, though, that the president will stick to the plan and deliver his pick tonight in primetime. Trump's aides have prepared briefing books and booked television spots for whomever he picks, anticipating that they'll have little time to spare between his decision and the reveal. President Trump is expected to announce his Supreme Court nominee at 9:00 p.m. in the East Room of the White House. Secretary of State Mike Pompeo holds a press availability during his foreign trip later this morning. A status hearing for former Senate Intelligence staffer James Wolfe, who is facing three counts of lying to investigators about contacts he had with journalists, will take place at U.S. District Court for the District of Columbia. U.S. Army Sgt. Elmore Goodwin, whose remains were missing in Korea since 1950, will be buried at Arlington National Cemetery. "First of all, nobody really knows." — Leonard Leo, the president's top Supreme Court adviser, on the likelihood that President Trump's SCOTUS candidates will oppose Roe v. Wade.